Uttermost's decorative bottles and canisters combine premium quality materials with unique high-style design. With the advanced product engineering and packaging reinforcement, uttermost maintains some of the lowest damage rates in the industry. Each product is designed, manufactured and packaged with shipping in mind. 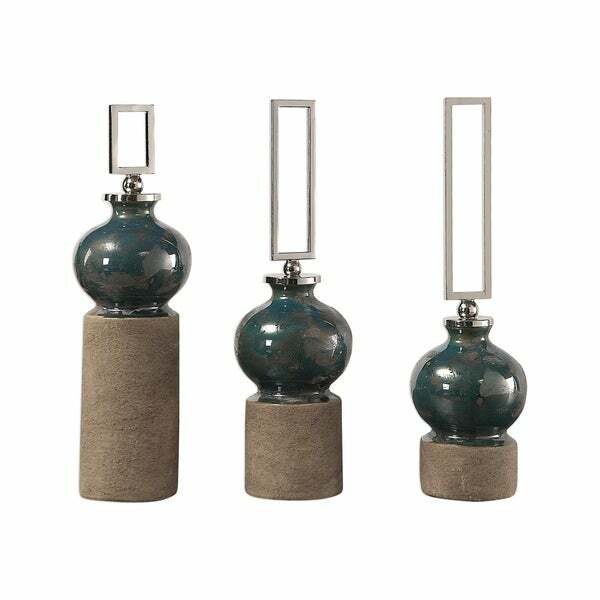 Ceramic bottles finished in a distressed blue glaze with sandstone undertones and stepped nickel rectangular finials. Dimensions 4.0 In. X 4.0 In. X 12.0 In.